If you live in the Milton area and are looking to buy used cars in Milton, be sure to visit our Budds’ BMW website. 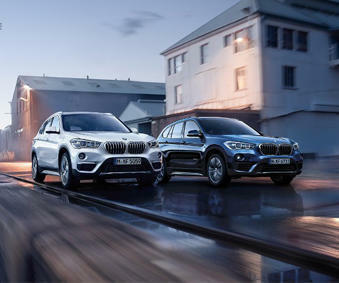 Feel free to use our website to help you locate the closest Budds’ BMW dealership to your home. You can also contact us to book an appointment to look at our large inventory of new and pre-owned vehicles at a dealership near you. Our user friendly and mobile friendly website makes it easy for you to connect with us from the comfort of your own home or when you’re on the go from your mobile device. We pride ourselves in using innovative and top quality technologies, and that doesn’t end with our cars. We work diligently to make your life easier when shopping for luxury vehicles, as we understand that purchasing a high performance vehicle is a large commitment and can be a stressful experience. At Budds’ BMW, we are here to serve the community of Milton and to assist you in finding the vehicle of your dreams. When you are looking to buy used cars in Milton you can be confident in knowing that we take your safety very seriously. We know that Milton is a growing community and that more and more clients are looking for affordable family-friendly vehicles. It is our promise to you that we do not compromise quality and safety as a result of our affordable financial assistance programs. We have many financing and leasing programs to choose from that will make purchasing a safe, reliable luxury car easier to fit into your budget. Our certified pre-owned BMW vehicles are built to last, and we guarantee this because for over 75 years BMW has offered a degree of engineering that is unmatched. When you buy used cars in Milton at Budds’ BMW, we make sure that our team of experts has carefully inspected every vehicle before bringing it to our showroom. Therefore, you can take your dream car out for a test drive with the security of knowing that you are safe behind the wheel. When you decide to buy used cars in Milton at Budds’ BMW, you can also be confident in knowing that your family members are safe, as we also offer regular service and maintenance appointments to make sure that you get the most out of your vehicle. Feel free to contact us at a Budds’ BMW near you for more information on purchasing a luxury BMW automobile. Our friendly team of experts is always happy to assist you on your journey to finding the car of your dreams.